Authors to Watch is happy to be a part of The Golden Apple Blog Tour hosted by CLP Blog Tours. I feel honored to have had the opportunity to read and review this wonderful book, and I'm excited to share my review with you! MEET POPPY PARKER, a recent widow who knows she must move forward but has no idea which direction to take. To start fresh, Poppy moves from her idyllic home in Georgia to the grimy glamour of New York City to open up her own boutique and find a way to live and love without her husband. Austin Bandy has been in love with Poppy since the moment he laid eyes on her years ago, right before her wedding. Now she is back, grieving and broken hearted by her nearly-perfect husband’s death—not Austin’s ideal romantic situation. He needs to wait for her to recover but not so long that someone else has the chance to move in and sweep his dream girl off her feet and keep him as a “good friend” forever. Poignant, hopeful and fresh, Faerl Marie’s enchanting debut novel will have you hooked and ready to pursue your own hopes and dreams the moment you turn the final page. The Golden Apple is a charming and fashionable novel about loss, love and moving on without betraying your self, your past or those you love. Note: I received a copy of this book in exchange for an honest review. My Review: When Poppy's husband dies, she sinks into a deep depression. She leaves her home to visit her friend in New York, and tries to start a new life for herself. Austin, a friend from the past, wants to be more than a friend to Poppy, but he doesn't want to push her into a relationship she isn't ready for. As Poppy's feelings for Austin grow, she's torn between elation that she's finally moving on, and guilt for leaving her old life behind. The Golden Apple chronicles Poppy's journey as she heals and discovers new life, love, and happiness. Poppy undergoes tremendous change and character development in this novel. She transforms from a shell-of-a-person to a woman exited about life once again. She learns to be independent in a way she never had to be when her husband took care of everything, and she learns to put her talents and interests to use when she decides to pursue a career that is all her own. She stops having to remind herself to move forward as the book goes on. The author did a wonderful job showing a gradual progression in Poppy's character. The pacing is great and doesn't feel rushed. I liked Poppy, and connected with her on many levels. Poppy is a wealthy fashionista which I am not (I wear Crocs, for crying out loud), so there were times my eyes glazed over during the long descriptions of outfits and accessories. What I really enjoyed was watching Poppy take charge of her life, while still allowing herself to grieve. She's very likable and down-to-earth, the sort of character who could be friends with just about anyone. Even though she's rich and seems to have every advantage, she isn't snobbish or afraid of hard work. As for the other characters in the book, I liked them all. Poppy's parents are the ultimate gracious Southern couple who have nothing but love and concern for their daughter. Even her in-laws want to see her move on and be happy. It's beautiful to see the way these families pull together to help Poppy take steps toward adjusting to life without her husband. Poppy is very lucky to have supportive friends and family, and she's found a true friend in Austin. He's very patient with her, and even though he wants to take their relationship to the next level, he holds back for her sake. The Golden Apple deals with loss, grief, friendship, love, and family ties. I would definitely recommend this book to fans of women's fiction, chick-lit, or romance. If you're looking for clean romance, this is the book for you. Faerl Marie is a graduate of the University of New Mexico with a Bachelor's degree in Psychology and minors in English and Social Welfare. She has worked as a style consultant, personal shopper and wardrobe curator, among other things. Faerl Marie spends her days writing, dreaming about new stories and characters, walking her dog and adoring her husband. She lives in the idyllic mountains near Santa Fe, New Mexico. 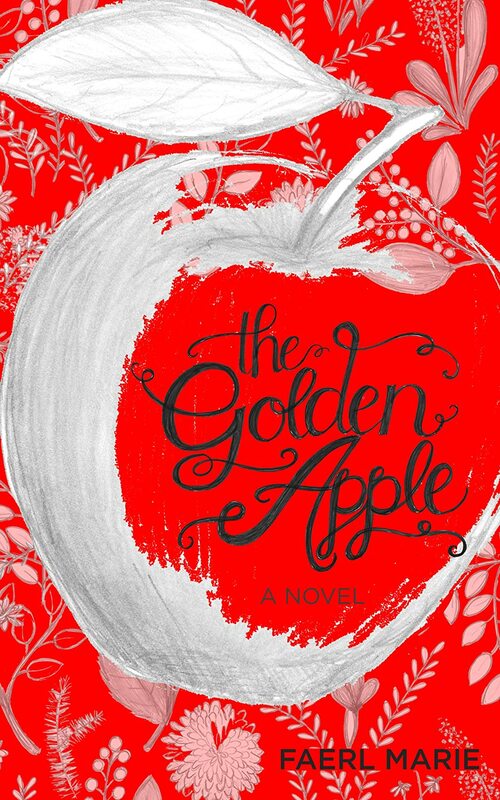 "The Golden Apple" is her first novel.